When you’re comparing any products or services, you want to know the cost. It’s no different for carpet cleaning. That’s why, as professional carpet cleaners, we’re often asked to provide a price over the phone. Unfortunately, it’s not that simple. 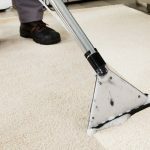 Without a real inspection of the job at hand, over the phone pricing for carpet cleaning generally means a slapdash service with sub-par results. Read on as we explore why a free consultation is key when it comes to professional carpet cleaning. You wouldn’t let a doctor prescribe medication without assessing your illness. It’s a similar story with carpets. Each carpet is different, whether it’s the material, the environment or a specific stain. On inspection, professionals can determine the best course of action for your carpet, such as the pre-treatment, cleaning method and aftercare. They might find that you don’t need such a big clean at all. Rather than forking out for a comprehensive clean, a smaller spot-treatment could suffice. The size of your carpet plays a big part in the cost of the job. Without seeing it for themselves, it’s impossible for companies to provide an accurate price for carpet cleaning. If the job is bigger than expected on arrival, they’re unlikely to complete it for the same price. For you, that means an unfair, unexpected price hike. The same can be true for furniture, with some companies expecting all items to be cleared out of the room. Forget to do so and you could be in for an extra charge if your price was agreed over the phone. This is eliminated with a free consultation, as everything can be accounted for and explained clearly. Speaking to someone over the phone doesn’t compare to meeting them in person. When you get a thorough inspection, you can meet the people who will be cleaning your carpet. After all, you’ll be letting them into your home, so you want them to be polite and well-mannered. At Clean and Dry, we know the value of a thorough inspection for your carpets. Our team uses a variety of high-quality cleaning products and methods, and it’s important to determine which is right for your property. We also have a No Quibble Money Back Guarantee if you’re not 100% satisfied with the results and customer service, so you have complete peace of mind when we’re cleaning your carpets.